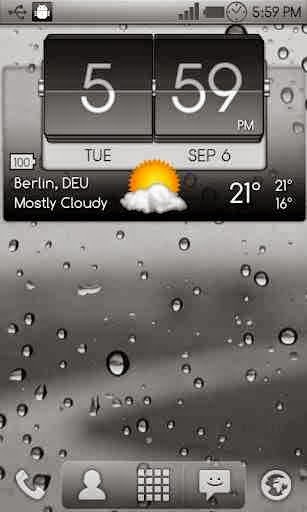 3D Flip clock & world weather widget is a full featured, size 4x2 or 5x2 fully customizable digital clock and weather forecast widget. World weather and time: Choose to display weather information for any number of different locations worldwide. Just select your favorite locations and you will immediately have updated weather and local time information. This is a widget, not an application. To install it please refer to the help display when you run it. There is also a link to a video that shows you how to install it.